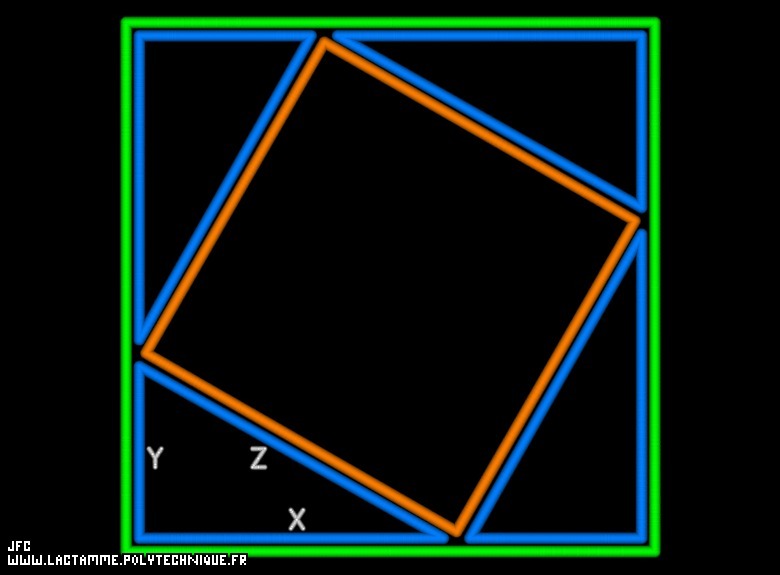 The big green quadrilateral is a square (one right angle and four sides equal to X+Y). The four blue/red triangles are equal (they are right angled triangles with two equal small sides X and Y). The small red quadrilateral is a square (one right angle and four sides equal to Z).